The Dead Sea is one of the saltiest places on Earth, but contrary to popular belief it is not the saltiest location in the world. The oceans in the world are of lesser salinity, but still contain a large amount of salt that covers two-thirds of the Earth’s surface. Salinity is spread out over various bodies of water to different degrees, and there are factors that influence how salty a body of water can be. The equator has a higher salinity because of the amount of water evaporation that occurs at this part of the world. The poles are more diluted because of the snow and ice that melt into the ocean there. At the Dead Sea the water is ten times saltier than the water in the ocean, but the Dead Sea is still just the fifth saltiest body of water in the world. The Dead Sea is actually a lake, but the misnomer of the name ‘sea’ remains despite its salty existence. In Antarctica there is a pond called Don Juan Pond that is 44% saline, but only about four inches deep. Don Juan Pond is considered the saltiest pond on Earth. Bodies of water like Don Juan Pond aren’t common, especially in Antarctica. 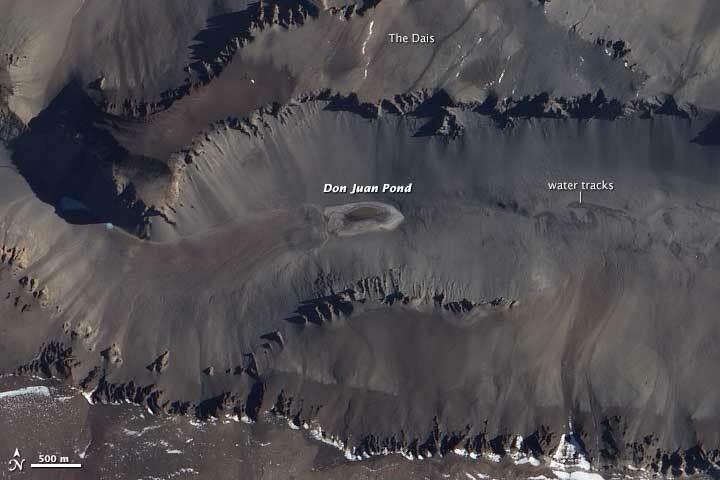 Don Juan Pond is in the McMurdo Dry Valley, which is a desert environment in Antarctica. There is no snowfall here, and researchers aren’t quite certain as to why the hypersaline lake still exists. The pond is a closed basin, which means that there is no water flowing in or out. The lake gets its salt content from the evaporation that occurs because the lake never freezes . Don Juan Pond in Antarctica. Image: NASA. Another extremely salty place in the world is the Salar de Uyuni salt flat in Bolivia. This is the largest salt flat in the world , coming in at 4,086 square miles. 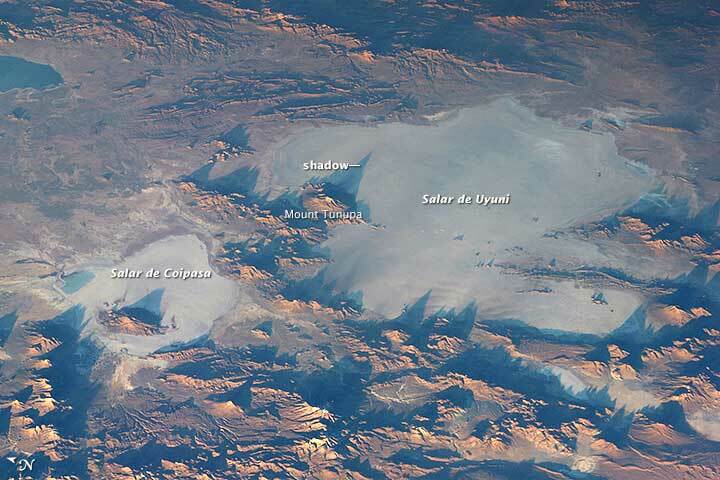 Salar de Uyuni is what remains of a prehistoric mega-lake that dried up. Salar de Uyuni in Bolivia. Image: NASA. How the world’s saltiest pond gets its salt, Brown University, February 7, 2013. An Expanse of White in Bolivia, NASA Image of the Day, December 9, 2014. Where is the World’s Largest Salt Flat?